Source: The Greenwich Press. Thursday, February 12, 1931, Page 1. 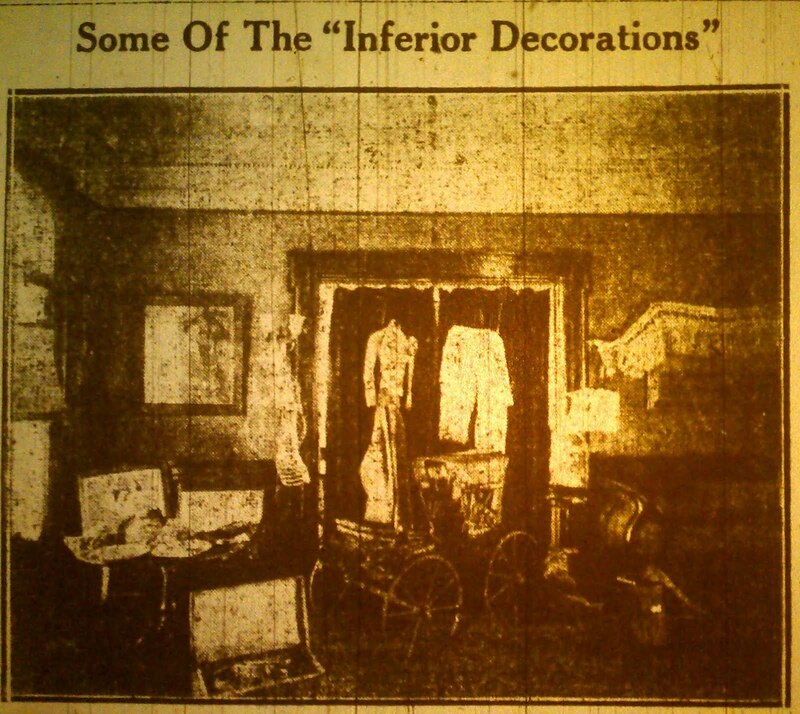 In the center of the above group of exhibits, part of the "inferior decoration" collection shown by the Second Congregational Church Guild at the home of Mr. and Mrs. Augustus I. Mead, Field Point Road, on Tuesday, is the baby carriage for twins that took the prize for being the most unique exhibit. In it Mr. Mead and his twin brother rode in their infancy. To the right is an ancient wooden mortar and pestle. To the left is an old wooden trunk with lace-making outfit. Hanging to the draperies are an old riding habit and lady's wrap.